Typhoon Lawin, with international name of Haima, is now a super typhoon, it’s deemed to intensify as it goes nearer to land area. According to PAG-ASA the super typhoon is expected to cause chaos especially in areas highly affected by the storm. As of 5pm today, PAGASA announced that Lawin is now at 275 kilometers east southeast of Tuguegarao City, Cagayan, moving west northwest at 25 kilometers per hour (km/h). 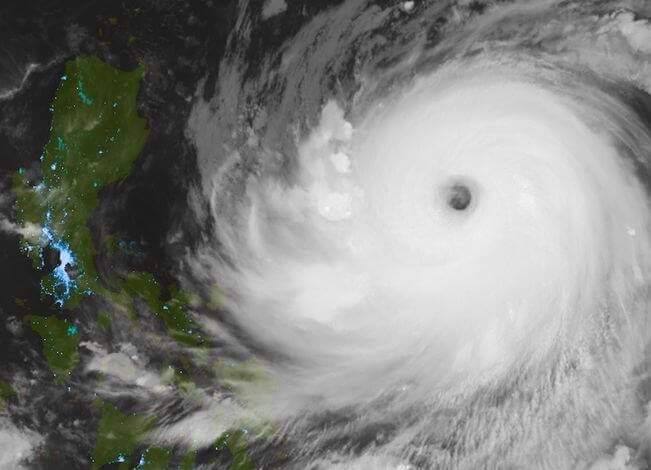 The super typhoon is still characterized with maximum winds of up to 225 km/h and gustiness of up to 315 km/h. The said super storm is expected to make landfall in Cagayan-Isabela area by 11 o’clock tonight, the said area is now tagged to be at Signal # 5 the highest and most dangerous alert level for typhoons. In an interview with, Aldczar Aurelio, PAGASA forecaster, he mentioned that the damage Typhoon Lawin may cause can be similar to what Typhoon Yolanda. Below is the complete updated list of areas under warning signals.